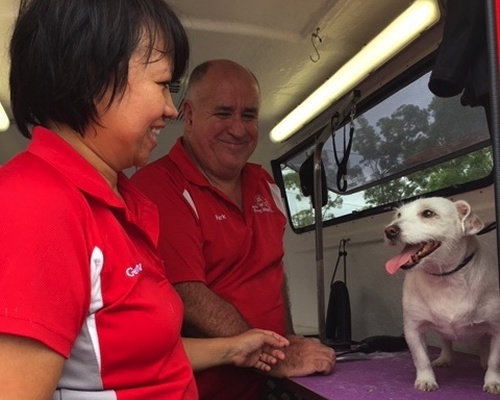 Mark and Gemma are a husband and wife team who are passionate about the family pet. If you call 131-546 someone will put you in contact with them so they could quote you for a wash or groom. In the service Mark and Gemma do 2 washes a conditioning treatment with warm water, brush out the coat and a complete dry. Call us now on 131-546 so you too can have a happier cleaner pooch.